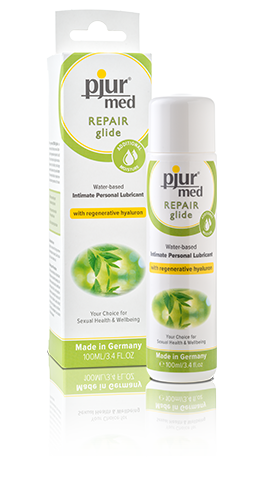 Product information "pjur med REPAIR glide"
pjur®med REPAIR glide is a water-based intimate personal lubricant with regenerative hyaluron for dry and stressed vaginal mucosa. Hyaluron has the ability to bind large amounts of water and to provide better than average lubrication. Hyaluron enables optimal regeneration of the skin. Ingredients: Aqua (Water), Glycerin, Xanthan Gum, Sodium Hyaluronate, Benzyl Alcohol, Sodium Benzoate, Potassium Sorbate, Citric Acid. Related links to "pjur med REPAIR glide"
Customer evaluation for "pjur med REPAIR glide"